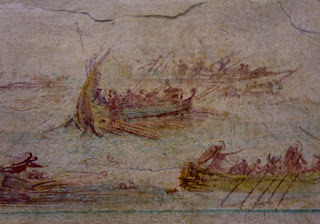 I found some nice photos of the Roman frescoes which include the 'tower' ship. They are from Villa Farnesina , Trastevere and were found in 1879. They were moved to The National Museum of Rome in 2010. 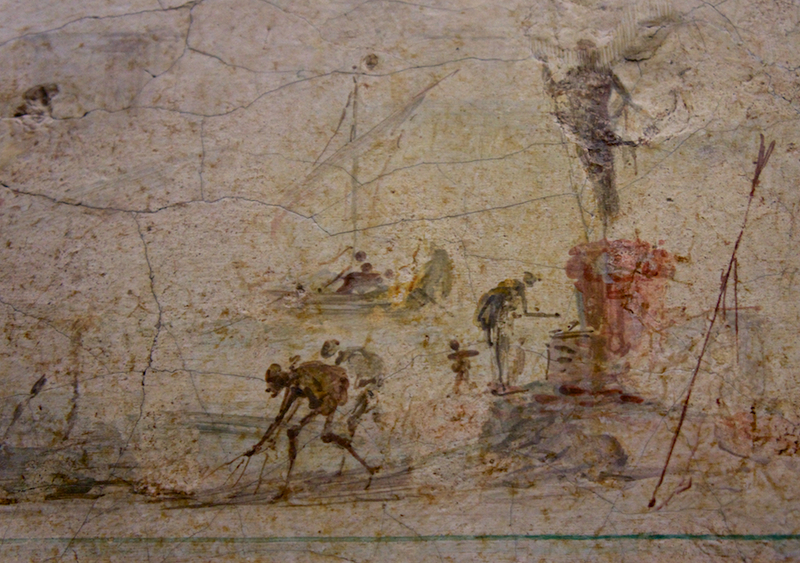 A really evocative port scene, somewhat faded but very immediate. I found them on the Blog 'Tomatoes from Canada' HERE. 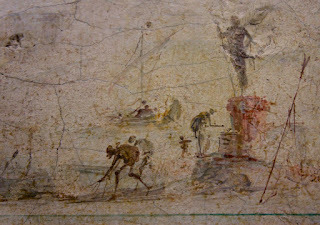 Luckily the Blogger has a keen eye for nice frescoes and took some very nice photos of items which non-nautical visitors and bloggers often overlook. There are other nice photos to look at there. These colour photos are clearer than the b/w version in Pitassi's book. But still the limitations of the medium and the age, and the materials mean we are not dealing with sharp clean images. Shifting colours again, one can see there are perhap two warriors in the front of the ship with their shields raised. I did not find any reason to change my analysis. The pictures are still wonderful. Active and dramatic. 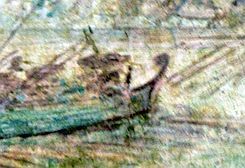 The ship in the foreground seem to be something small like Triakonters or Pentekonters, with visible oarsmen and a few warriorS on each ship.The central ship could be a Liburnian with enclosed oarsmen and fighters on deck.